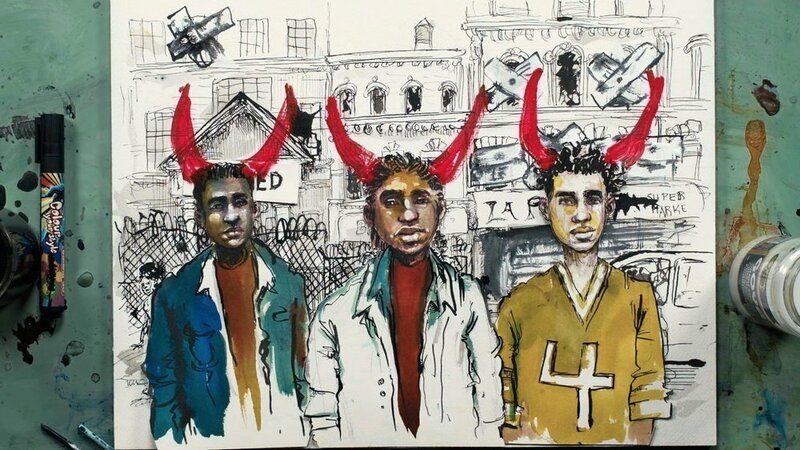 Still image from "The War on Drugs is an Epic Fail" by Jay Z and dream hampton, with illustrations by Molly Crabapple. NYT. Sharp As Knives, LLC is a video and media production company based in New York City. We create award-winning visual stories for artists, visionaries, and media brands. Our work has been featured in The New York Times, CNN.com, The Washington Post, The Guardian, MIC.com, The Royal Society of the Arts, and more. We have screened at the TED conference, as well as being official selections of both Annecy International animation festival and the Sydney International Film Festival. Our video work resides in the Equal Justice Initiative's Legacy Museum, and Indiana State University's permanent collection.